Futuris is a global supplier of automotive interiors, including seats, trim, and parts that has been serving the auto makers such as Ford, GM and Toyota for several decades. In 2013 Clearlake Capital purchased Futuris as a spin out from Elders Limited, an Australian conglomerate. After Clearlake’s purchase, the focus was to grow OEM relationships in the US and abroad. Futuris was selected by Tesla to be the outsourced provider of seat assemblies and other interior parts for Tesla’s Model S, and the soon to launch Model X program. Futuris initially co-located its equipment and began production inside Tesla’s Fremont factory. However, as Model S volumes grew and with the Model X soon to launch, Futuris needed to move to a larger facility to handle the increased demand. Futuris was able to locate a 160,000 square foot facility reasonably close to Tesla’s production facility however $14 million in equipment and several million in leasehold improvements would be required to take advantage of the opportunity. Despite Futuris’ long operating history and scale at over $300 million in global sales, at the beginning of 2014 there were several significant risks. Being a supplier to the auto industry had long been brutally competitive and highly cyclical. Futuris was headquartered in Australia and was managing a multi-year wind down of its Australian auto supply contracts, which made up a substantial percentage of its revenues. Additionally, because the company was a spin out from an Australian parent, Futuris did not have historical audited financials in GAAP format. 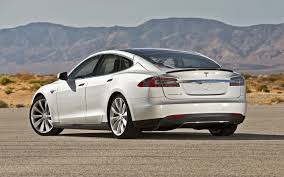 Even putting those issues aside, the financing was to be supported by equipment only, and that equipment was to be dedicated to support a single customer, Tesla, and in 2014 Tesla was battling a host of its own issues including questions on production, states like New Jersey banning their direct sales model and a fact that a Model S caught on fire after hitting debris on a highway. Fountain quickly dug in to understand Futuris’ global operations and developed a view on the range of outcomes for Tesla’s Model S and Model X along with its relationship with Futuris. Confident that it thoroughly understood the risks, Fountain decided to offer financing. Futuris desired a long amortization and fixed cost of capital. Fountain was able to address both client needs using a true lease with a purchase option at month 36. Fountain provided $14 million equipment lease line commitment to finance the equipment for Futuris’ entire project, including an immediate $1.1 million sale leaseback of existing seat assembly equipment located in Tesla’s factory. The new facility and equipment in Newark enabled Futuris to meet the production needs of the Model S and the Model X and in turn, hit its own internal revenue targets. When Tesla decided to take some aspects of the Model X seat assembly back in-house, Fountain worked with Futuris and Tesla to transfer some of the equipment and leases to Tesla. Futuris was been able to leverage its Newark production facility by serving multiple automakers and in September 2017, Futuris was acquired by Adient PLC for $360 Million. Today, both Tesla and Futuris remain clients.